Move over bluebonnets, chili, longhorns and pecans. 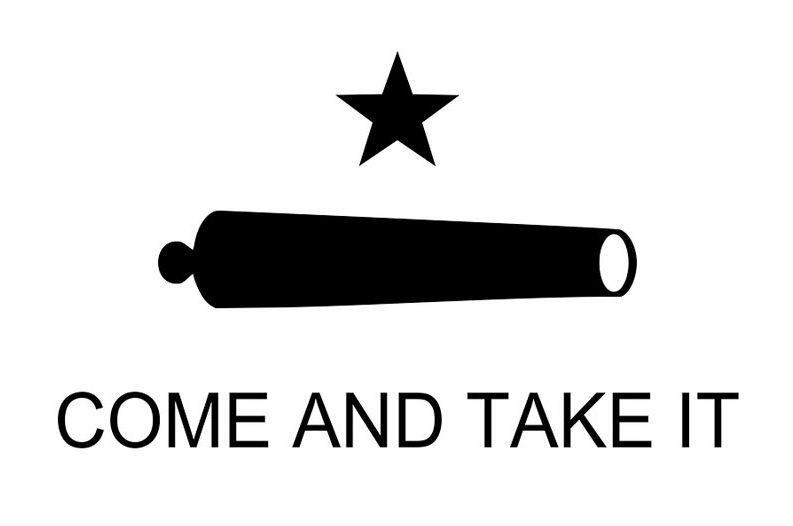 Texas could soon have a new state-designated symbol: the cannon. The state already has an official flower, food dish, animal (large and small) and tree. Not to mention dozens of other symbols (like a state dog breed, cobbler and musical instrument). But now, for the first time, Texas lawmakers may designate a weapon as an official symbol. A resolution designating the cannon as the official state gun passed through a senate committee hearing last week. And there's little reason to believe the resolution won't pass through the legislature. If passed, the cannon marks the first weapon officially recognized by the state. But it already looks like company is soon on the way. Another proposal calls to designate the 1847 Colt Walker pistol used in the Mexican American War as the official handgun of Texas. And then there's the Bowie knife, named for Texas folk hero Jim Bowie who died defending the Alamo. One proposal calls for the knife to also earn official state recognition. But while Texas loves its guns, these designations don't just come randomly. Every designation carries with it a historic significance. The cannon, for instance, stands a a symbol of the Texas Revolution. When Mexican troops attempted to take a small cannon from Gonzales in 1835, citizens resisted and sparked the first conflict of the revolution, the Battle of Gonzales. Several other states already made the leap to recognize official weapons. Utah passed the first legislation in 2011 recognizing a Browning pistol as an official weapon (Browning was a Utah native). Other states that recognize weapons include Arizona, Alaska, Pennsylvania and Indiana. Tennessee became the most recent state to do so, calling the Barrett M82 the official rifle of the state. Needless to stay, making a cannon the official state gun holds true to the "everything is bigger in Texas" motto. Which, funny enough, is not the official state motto. Ironically, that's the much more sticker-friendly word, "friendship."